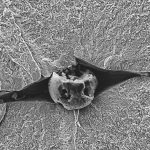 A system approach is used to optimize the macro and micro design to minimize the transmission error while ensuring that robustness (bending, contact, scuffing, and micropitting) safety factors are not compromised. The desire for engines that provide more torque and power is driving higher loads into the gear train. 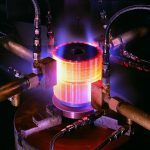 At the same time, expectations for noise, vibration, and harshness (NVH) require systems that are even more refined. 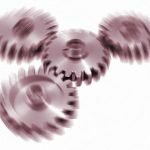 The gear train design engineer has several factors available to consider; some are controllable, and others are not. All of these variables must come together in a design that meets both durability and NVH targets, while produced economically. Because few of the variables are truly independent, a system approach was used to find the solution. The current gear train design (baseline) has a 45 toothed crank gear. This suffered audible gear whine most noticeably at low idle; 700-1,000 rpm while under low load. In the vehicle, it was audible around 1,200-1,400 rpm under light loads. Even though gear whine is significant at higher rpm, engine noise effectively masks it at this speed. 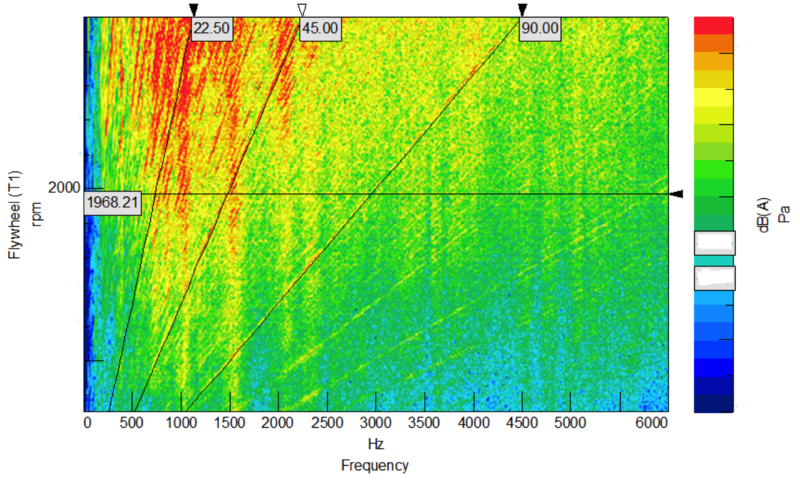 The waterfall plot in Figure 1 is from a single microphone recording taken 1 meter from the front of the engine during a speed sweep on the test rig. The resonances highlighted in purple correspond to the natural frequencies of the gear cover at 1,500 Hz and 2,100 Hz at the TPF (tooth passing frequency) second harmonic (90th engine order). Reduce the tooth count (and therefore the TPF) to move the resonances further up the speed range where it would be masked by the engine noise. Minimize PPTE (peak-to-peak transmission error) at low idle torques. It moves the 2,100 Hz resonance above 2,000 rpm, so it would be masked by engine noise. 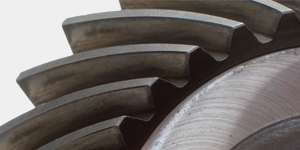 Tooling for 2.54 mn gears was available from an old gear train design that would result in 36 teeth at the crank. 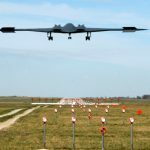 This would substantially speed up prototype procurement and reduce costs. 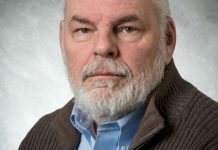 Langlois  showed that whine is a system-level issue, where solutions may be considered from gear macro geometry design, gear microgeometry design, system mass-elastic properties, and the transmissibility of PPTE to the casing. 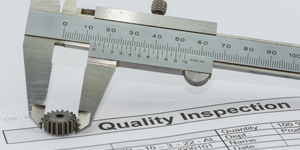 State-of-the-art system-level software is required to be able to perform various analyses of interest. Design changes need to be assessed effectively — not just for their effect on the noise problem at hand — but also for other considerations of importance in the design process so as, for example, not to compromise durability. Such durability, loaded tooth contact, and dynamic response analyses may be performed using standalone commercial FE packages. However, this approach is problematic as it requires models with different levels of fidelity to calculate each aspect. What’s more, models are difficult to set up and do not lend themselves well to analyzing the effects of design changes easily and quickly. 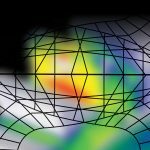 On the other hand, integrated CAE software such as MASTA provides tools for engineers to perform these analyses using a single model and parameter set. 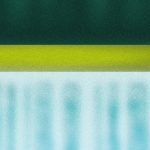 Model generation is rapid and provides the flexibility to make complex design changes on-the-fly, seeing immediate results within a seamless workflow. 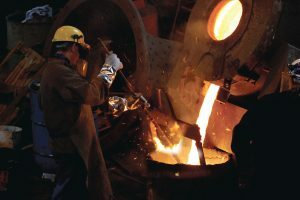 Analyses are fast enough to enable parameter space DOE studies, including assessing the robustness of any design changes to the expected variability in actual parts due to manufacturing and assembly tolerances. Figure 2 shows the system forces and deflections in the gear train. 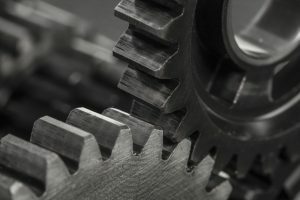 Unlike traditional automotive transmissions, the gear train of an internal combustion diesel engine must accommodate severe torsional activity. 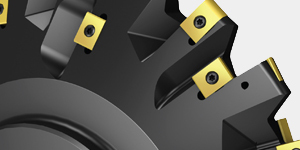 The system must not only sustain peak torques with magnitudes several times the mean transmitted torque, but also accommodate negative torque reversals throughout the engine cycle. At the relatively light load conditions where gear whine was most noticeable, the torque signature is nearly fully reversed, which brings additional challenges to the specification of a target torque for use in quasi-static microgeometry optimization. The duty cycle was specified with the understanding that the instantaneous torque passing through a given mesh will vary significantly in time and thus the gears should be designed to produce minimal transmission error throughout a wide-range transmitted torque. Table 1 shows the duty cycle data used for the concept designs. Peak power was used to rate for robustness, e.g., bending, contact, scuffing, and micropitting. Low idle torque was used to optimize the microgeometry. 45T and 36T refer to the number of teeth at the crank gear. This dictates the tooth count on the rest of the gear train. This is because the timed cam gear must be exactly 0.5:1, and the timed FP (fuel pump) gear must be exactly 1.5:1. Table 2 shows the macro and microgeometry specifications for the 45T baseline and proposed 36T helical and 36T spur designs. The 45T baseline has the highest theoretical transverse contact ratios of 2.5 and 2.3 and therefore the best load sharing capability to maximize robustness and minimize PPTE. 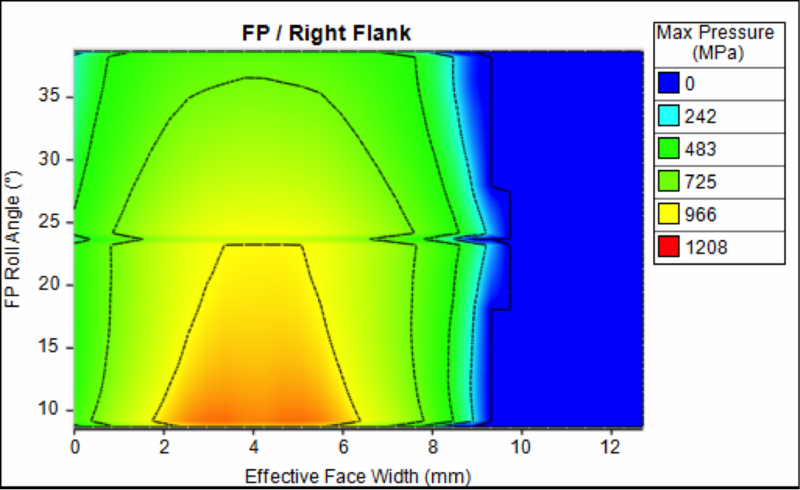 However, the high amounts of profile crowning of 8, 8, and 6 mm substantially reduces the contact area of the flanks. This reduces the contact ratio to 1.6 and 1.5 at the low idle operating condition. The 36T helical and spur designs have much smaller profile crowns of 1 mm and as a result, achieve near integer contact ratios at the low idle operating condition. This section shows the results of the advanced LTCA contact stress results performed in MASTA. Comprehensive system deflections, including contributions from the housing, are all considered. Figure 3 shows the predicted mesh misalignments at peak load resulting from system deflections for the three designs. Originally, the 45T baseline gear train was designed in software capable of analyzing only individual gear pairs. It was optimized with large amounts of lead crowning (Cb) to tolerate the standard requirement of 1 mrad misalignment. However, when analyzed as a system, the actual misalignment witnessed by the FP mesh was three times greater. 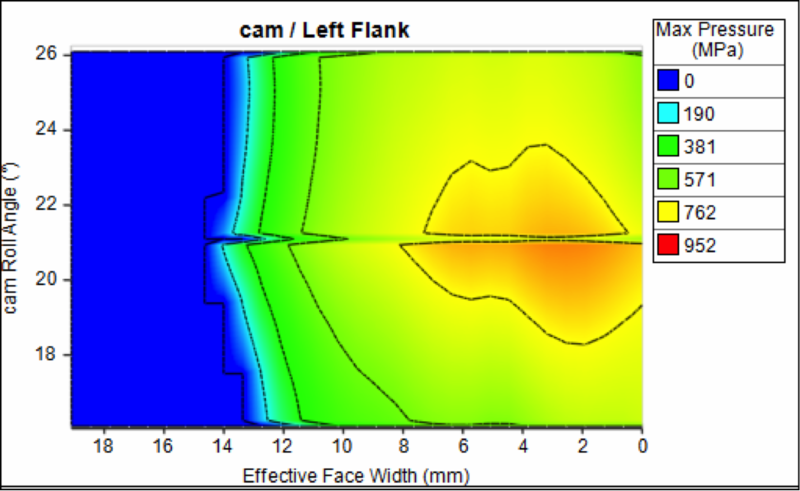 Figure 4 shows that when analyzed as a system, the FP/cam mesh tolerates 3.7 mrads misalignment quite well; however, this is more a virtue of high lead crowns and narrow 10 mm face widths. What is a concern is the high load intensities (khβ and khα) that arise from the excessive lead and profile crowning. This increases the contact stresses and thus reduces robustness. 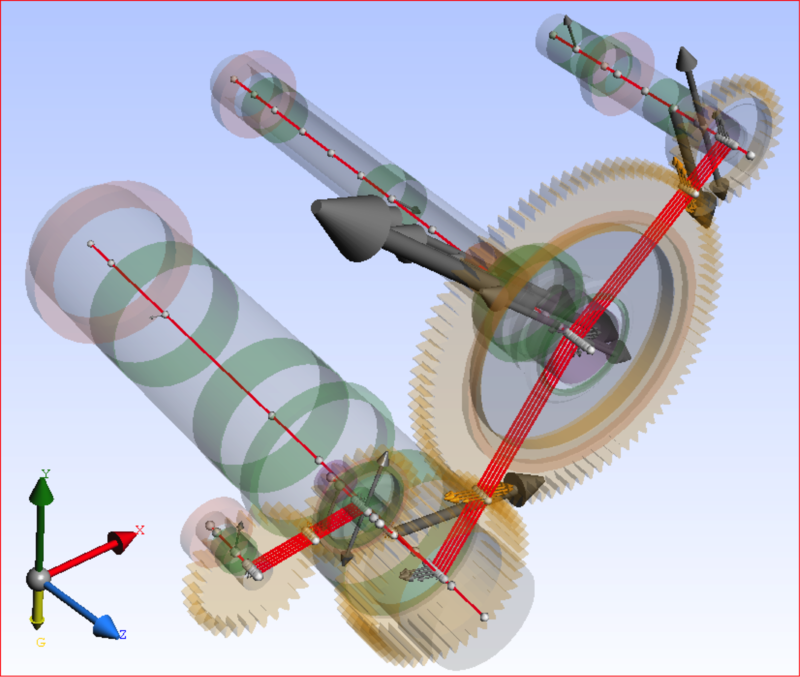 Analyzing the gear train as a system and predicting actual deflections enables improved bespoke microgeometry to be applied that minimizes TE without increasing load intensities. 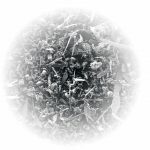 This can be achieved by reducing lead crowning enough to tolerate manufacturing variations and adding lead slope relief to tolerate deflections. Figure 6 and Figure 7 show contact predictions for the 36T helical design that has reduced 5 mm lead crowning and the additional 10 mm and 7 mm lead slope relief. 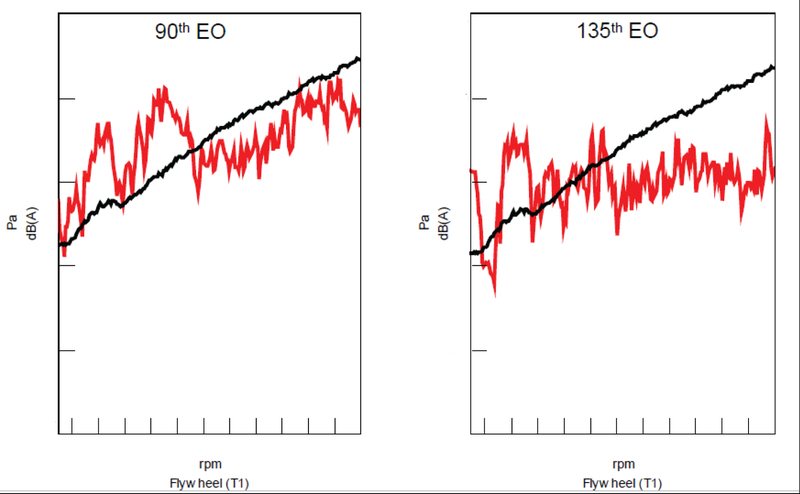 As shown, load intensities are reduced and contact stress are comparable to the 45T baseline. This also helps maximize flank contact surface to maximize total operating contact ratio and thus minimize TE. Figure 8 and Figure 9 show the contact predictions for the 36T spur design. This has the same microgeometry specification as the helical concept and, as shown, load intensities are also reduced and contact stresses are also comparable to the 45T baseline. 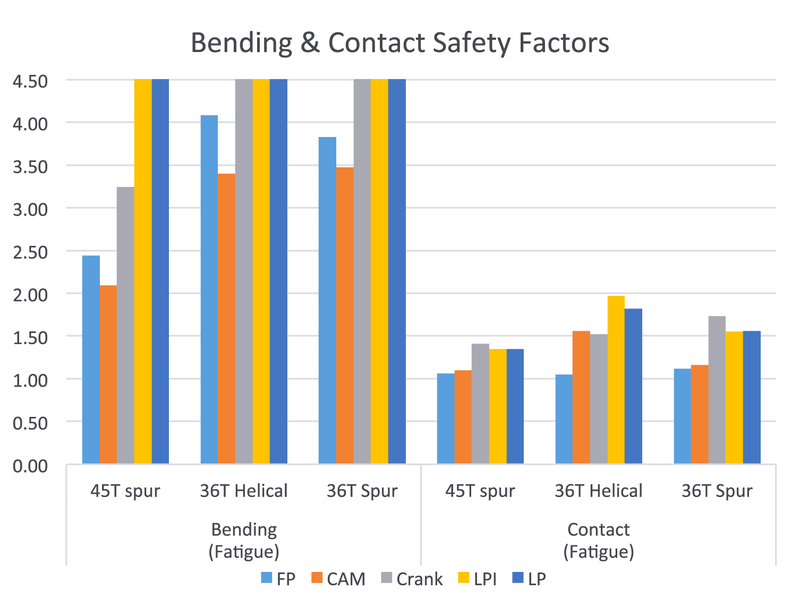 This section shows 3D results for both PPTE and operating contact ratio versus power (torque variation) and profile crowning (manufacturing variation) for the 45T baseline and 36T spur designs. 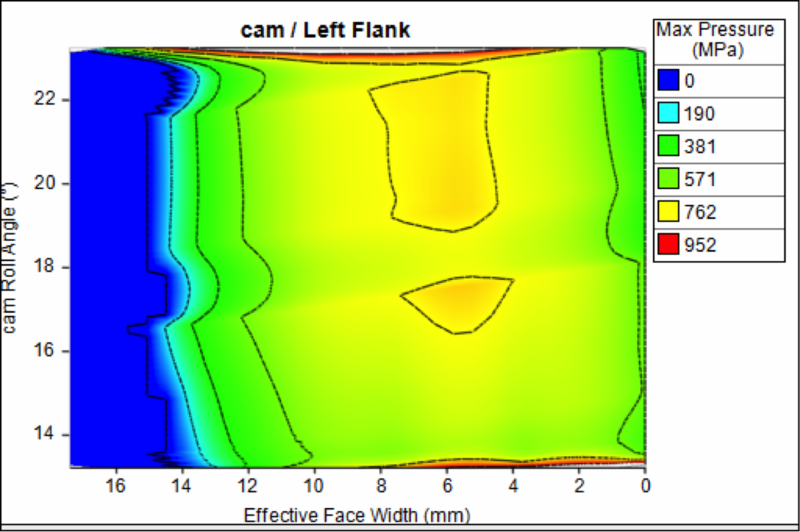 Figure 10 shows the FP/cam PPTE results. 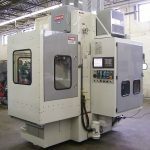 Profile crowns of 8 and 8 mm were specified, which results in the gears generating high PPTE at the low idle operating condition. Minimum PPTE at low idle would have been better achieved with profile crowning of approximately 2 mm. 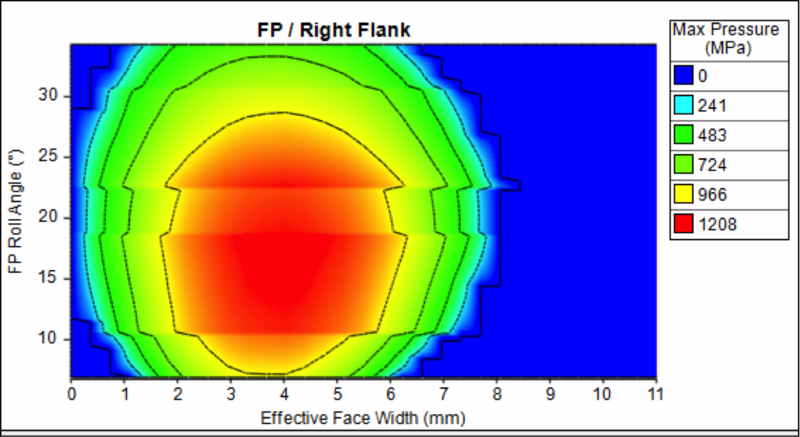 Figure 11 shows the 45T FP/cam operating contact ratio results. The diagonal band showing integer 2 contact ratio correlates with the diagonal band showing minimum PPTE in Figure 10. 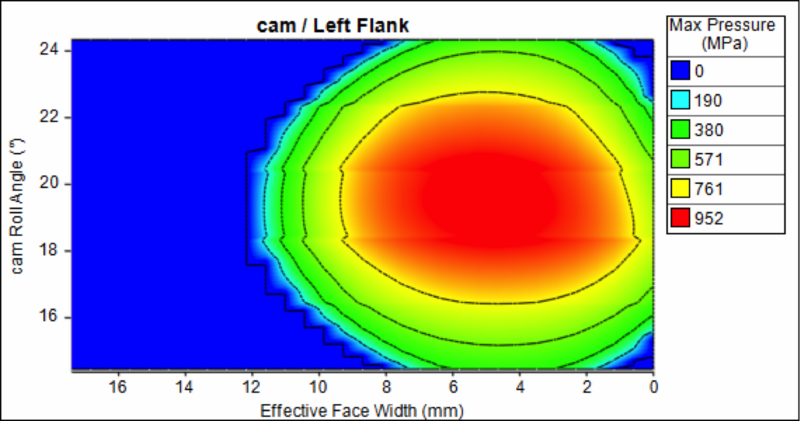 Figure 12 shows the 45T cam/crank PPTE results. 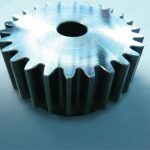 Profile crowns of 8 and 6 mm were specified, which results in the gears generating high amounts of PPTE at the low idle operating condition. Minimum PPTE at low idle would have been better achieved with profile crowning of approximately 2 mm. Figure 13 shows the 45T cam/crank operating contact ratio results. The diagonal band showing integer 2 contact ratio correlates with the diagonal band showing minimum PPTE in Figure 12. 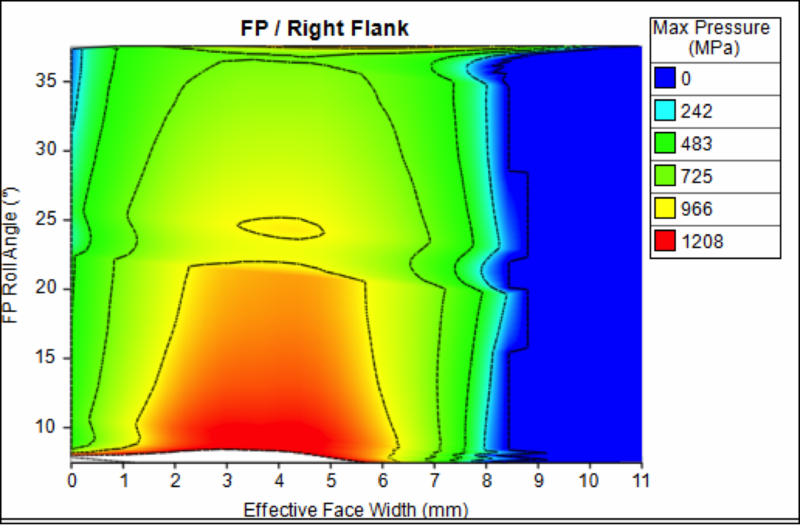 Figure 14 shows the 36T FP/cam PPTE results. 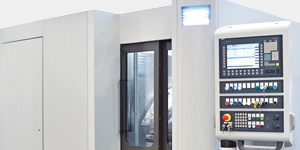 Minimum PPTE at low idle is achieved with low profile crowning of approximately 1 mm. Figure 15 shows the 36T FP/cam operating contact ratio results. The diagonal band showing integer 2 contact ratio correlates with the diagonal band showing minimum PPTE in Figure 14. Figure 16 shows the 36T cam/crank PPTE results. 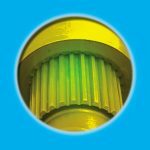 Minimum PPTE at low idle is achieved with low profile crowning of approximately 1 mm. Figure 17 shows the cam/crank operating contact ratio results. The diagonal band showing integer 2 contact ratio correlates well with the diagonal band showing minimum PPTE in Figure 16. As shown in all the contact ratio results, as transmitted power increases, the teeth deflect more, increasing the operating contact ratio. However, due to the analysis settings selected, the operating contact ratio is limited by the theoretical contact ratio. As previously discussed, the change from 45 crank teeth to 36 resulted in an increase in tooth size from 2.071 mn to 2.54 mn. Figure 18 shows that there was an expected improvement in bending strength that bigger teeth tend to offer; however, contact design factors still remain comparable with the baseline (and for some gears, are actually better) even though contact ratio and thus load sharing have been reduced at the peak torque operating condition. 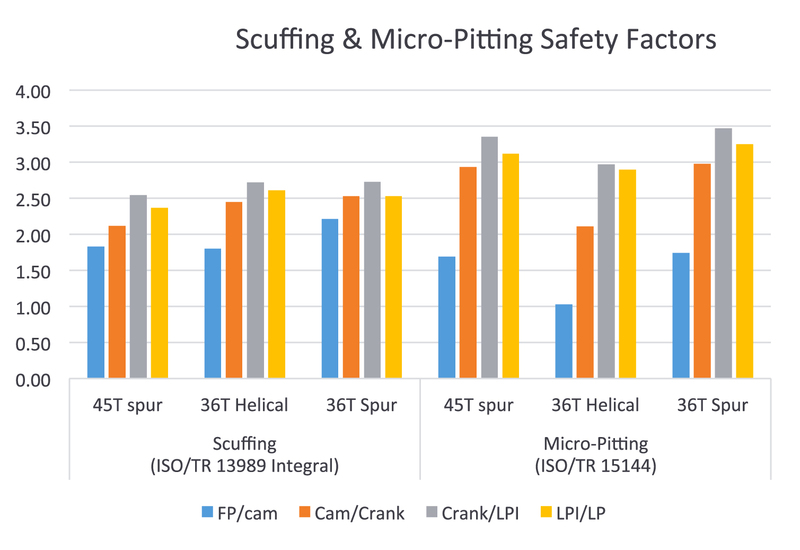 Figure 19 shows comparable scuffing margins for the 36T concepts with the 45T baseline. 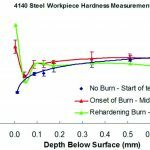 Micropitting margins are lower for the helical design, but this results from a singularity in the advanced LTCA FE. 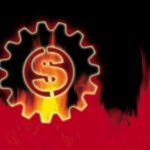 In the real world, this “singularity” would be quickly machined off during run-in and can be confidently ignored. 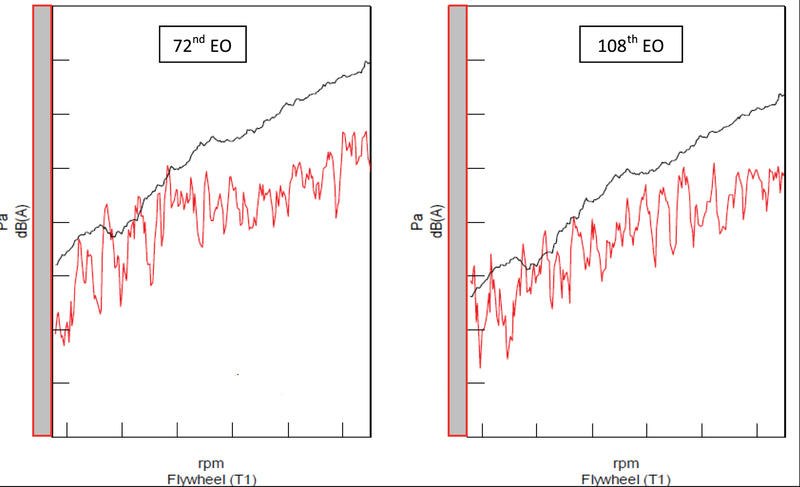 Figure 20 and Figure 21 show the noise test results taken on a single microphone 1 meter from the front of the engine on the test rig. Figure 20 shows that the 36T spur design has reduced noise compared to the 45T baseline in Figure 21. Because the 36T spur concept has comparable robustness with the baseline, it’s been chosen as the prime path for production instead of the 36T helical. This is because it offers acceptable noise levels without the concerns of reduced bearing life due to thrust loads. This enabled project milestones to be passed and production tooling to be ordered. 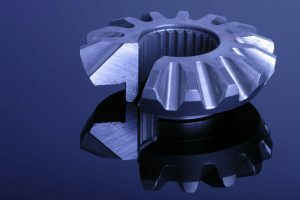 Gear meshes that achieve integer operating contact ratio generate minimum PPTE. By designing and analyzing gears as a system, realistic mesh deflections can be predicted, enabling improved and optimized microgeometry to be applied. 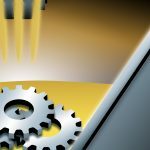 This two-pronged method has been shown to reduce gear noise while maintaining robustness. 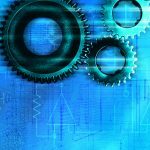 The authors would like to acknowledge and thank the following for their kind support throughout this project: Dhanesh Purekar, Cummins EBU, and Paul Langlois, Smart Manufacturing Technology. 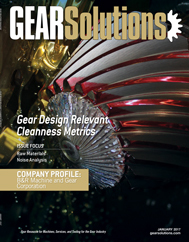 Dr. Paul Langlois; “The Importance of Integrated Software Solutions in Troubleshooting Gear Whine,” Gear Technology, May 2015.
joined Cummins Inc. in 2012 and works within the Applied Mechanics organization with a focus on gear train, valve train, and crankshaft simulation and test efforts. is a design technical specialist at Cummins within the Engine Business unit. 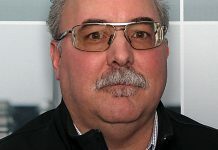 In his current role, he supports the design and development of gear and valve train systems. Mitchum has six years of experience in a variety of additional areas including casting and exhaust systems and hold two U.S. patents. 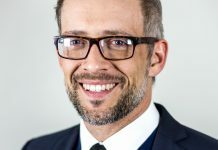 is a chartered engineer with 17 years’ experience in transmission design and analysis at global automotive consultancies and holds five patents. 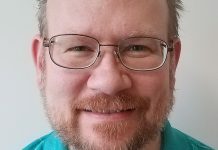 He joined Cummins Inc. in 2011 and has the role of Global Gear Systems lead where he supports all Cummins global gear train design, analysis, development, and testing.